This rum is designed as a product that evokes crude and crude eau-de-vie, craved by pirates and privateers who ravaged the Cuban coasts, the so-called Treasure Island, between the 16th and 18th centuries, which they treasured as a part of looted loot in the surroundings of the Caribbean Sea and the Gulf of Mexico. Needless to say, the eau-de-vie is not the same as before, aggressive and repulsive to the palate, but a very aged and treated with care. The Isla del Tesoro rum contains a pure soul, delivered, refined, strong of spirit, but soft to gracefully caress our olfactory sensations and our taste buds. 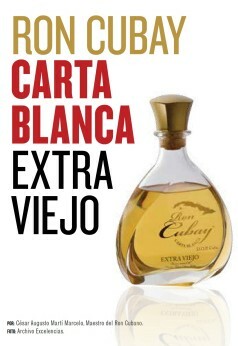 It is a mixture of bases of rums aged in "precious coffers", that once again breed the "wonderful jewel" of the Cuban Rum, heir of the wisdom, the delivery and the work of the vigorous Rum Factory of Santiago de Cuba, with more than 150 years dedicated to the manufacture of the genuine "all times rum". It is part of the generosity and the accumulated talent of several generations of Masters of Rum from Santiago, born and educated in the "Cradle of Light Rum". We also show a product with a sui generis image, packaged in a sand-colored ceramics basin, placed in a precious wooden chest made in the style of the time. It arrives to the market in boxes that contain 4 coffers with their respective bottles, all enumerated. It is a true jewel that represents the traditional Treasure Island, and that the Rum Industry of Santiago de Cuba has the pleasure of presenting, knowing that the rum culture of this city is an indissoluble part of Cuban culture.